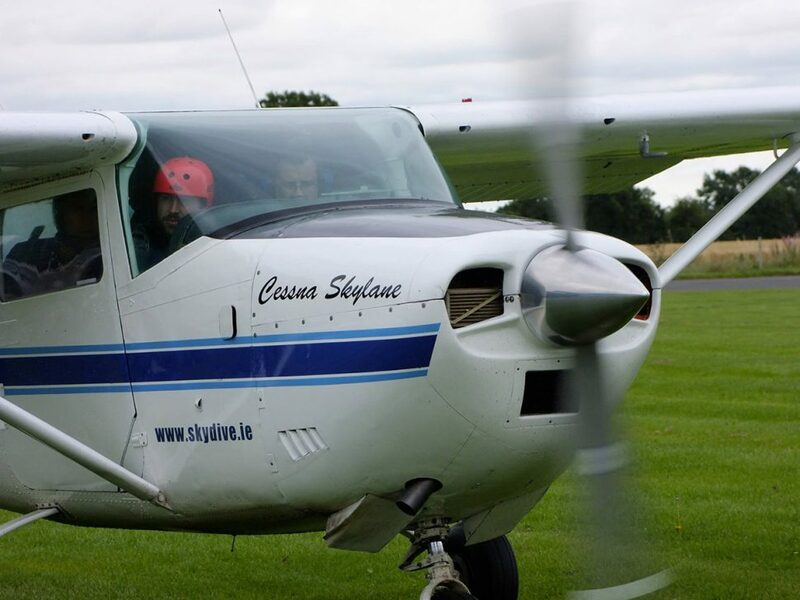 Clonbullogue Airfield is a small Irish airport located about 2 kilometres (1.2 mi) west of Clonbollogue and 6 NM (11 km; 6.9 mi) south of Edenderry in County Offaly, Ireland. The airfield has one grass runway which is the largest grass runway in Europe running east – west which is 770 by 18 m (2,526 by 59 ft). Enjoy breakfast, dinner, snacks, drinks etc in our Club House Café. NO ALCOHOL is permitted when the drop zone is operational. As well as our numerous amenities such as camping facilities, carpeted packing areas, clean showers and rest rooms are available. If the weather is cold we also have an indoor viewing area for the public. There is also a number of B&B’s in Clonbullogue Village and local area. We’ve 2 beautiful planes at the ready to bring you up into the clouds. 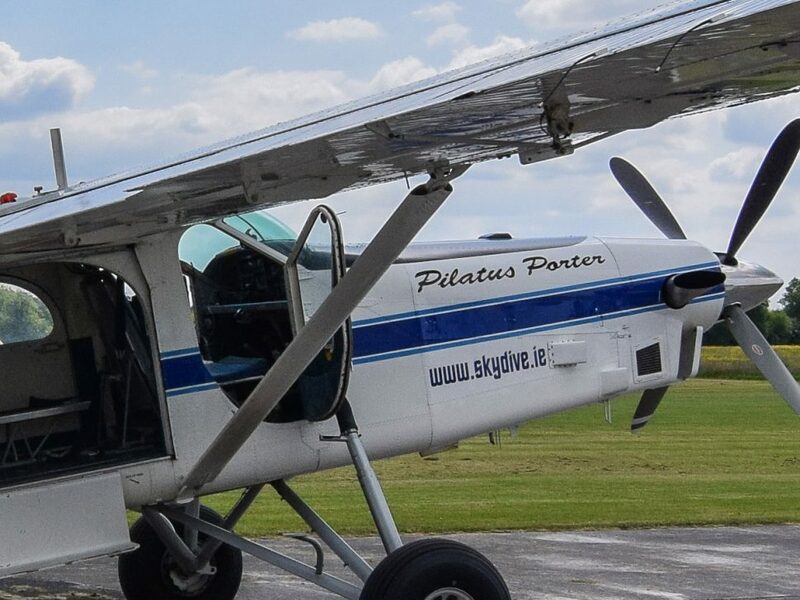 Our Cenas 206, a single engine plane suited to bringing 4 jumpers up; and our Pilatus PC-6 porter, suited for bringing up to 10 into the skies. 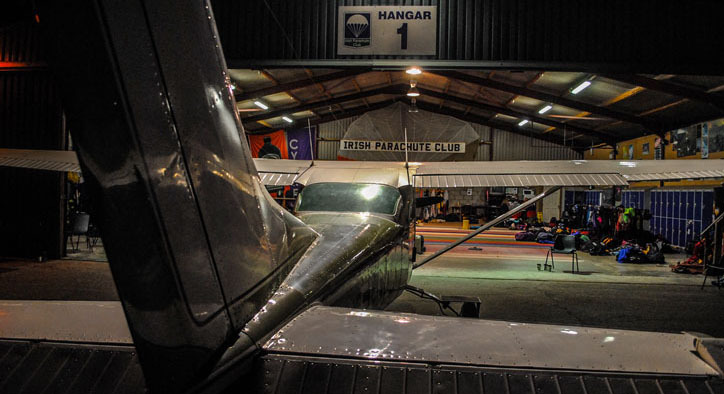 Hanger 1 is the main activity hub of the club with its matted packing area. Here you can pack your own rigor, or avail of the services from our expert packers. Got a question not answered via our FAQ section ? Then simply get in touch. We’re here to help. 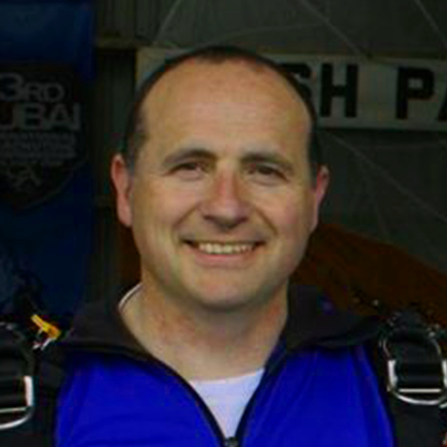 My first jump was in 2003, and it was a static line jump. Most memorable jump, due to the fact it was so unique among my other jumps, was a water jump into Blessington lake. Had to undergo water training sessions in the swimming pool, to ensure safe exit from the harness after landing. It was from 3500ft, so action packed from start to finish. 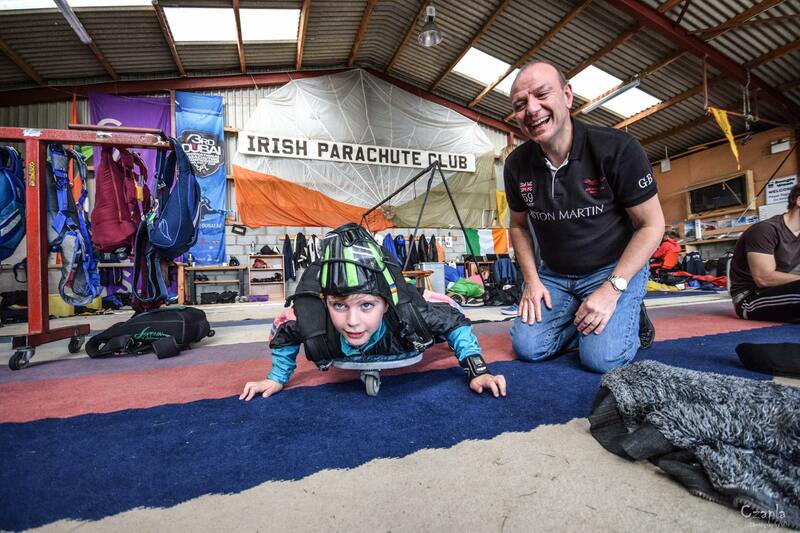 My advice to anyone jumping is to relax and enjoy yourself, trust and listen to your instructor as they will keep you safe.